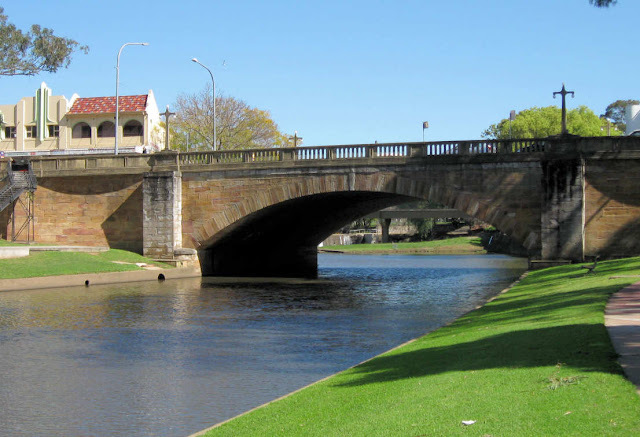 These three bridges near the city's centre, cross a short stretch of the Parramatta River above the Charles Street weir, 19Km upstream from Port Jackson. The bridge in the photo above was named after a former mayor and state politician. 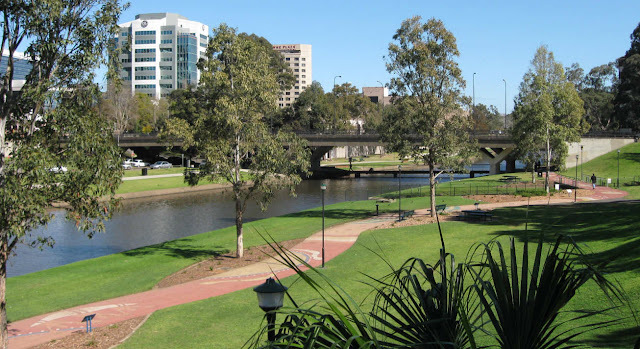 The pathway in the foreground is part of the 'Riverside Walk' which leads from the ferry wharf to the 'Heritage Centre' next to Lennox bridge. Through art and interpretive signs it tells the aboriginal history of the area. 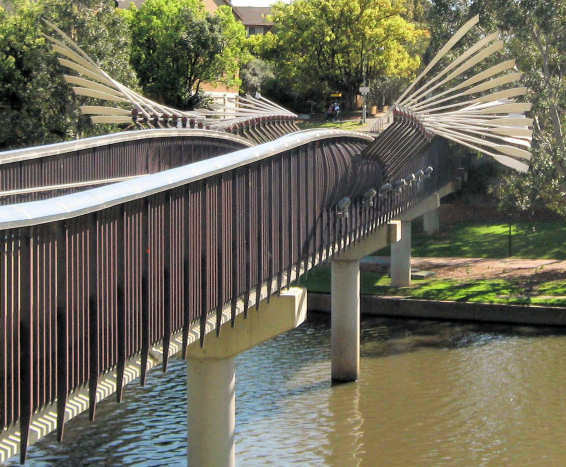 The Elizabeth Street footbridge is an award winning cycle and foot bridge which features an interesting public artwork . 'Wake' by Greg Stonehouse and Susan Milne was inspired by "the gliding movement of oars" and the "flight of birds". Lennox bridge (below) was designed by the colony's first Superintendent of Bridges, David Lennox. It has since been modified but was originally completed in 1839. Great bridge shots. I want to get up there and photograph these too. You should post a link on 'Sunday Bridges' this weekend. 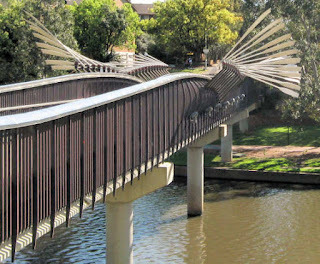 I pass thru Parramatta on my daily commute and have noticed that interesting bridge in the middle. There is a Lennox bridge in the mountains too. It is nearly two years since I have taken the ferry up to Parra and back. Time for a anotherie over the summer I reckon. Hey Kevin- You haven't updated for a while, and I know there's been some flooding over there. Are things all right? Do you have any high water pictures? Thanks for your interest in the floods Ben. They have been mostly interstate. I have not posted this month as I had a fall off a ladder which resulted in an operation.